Fall is here … which means Winter and SNOW are around the corner! Get your home’s exterior winter-ready now with these 9 Fall Outdoor Cleanup Tips! Bundle Up! 1.Check the foundation for cracks. Fill in and repair any openings in the structure. Foundation cracks allow pests to enter your home and can freeze and damage the structure. 2.Clear leaves from lawn. 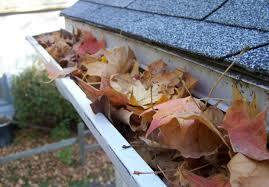 Clean leaves out of gutters and downspouts. 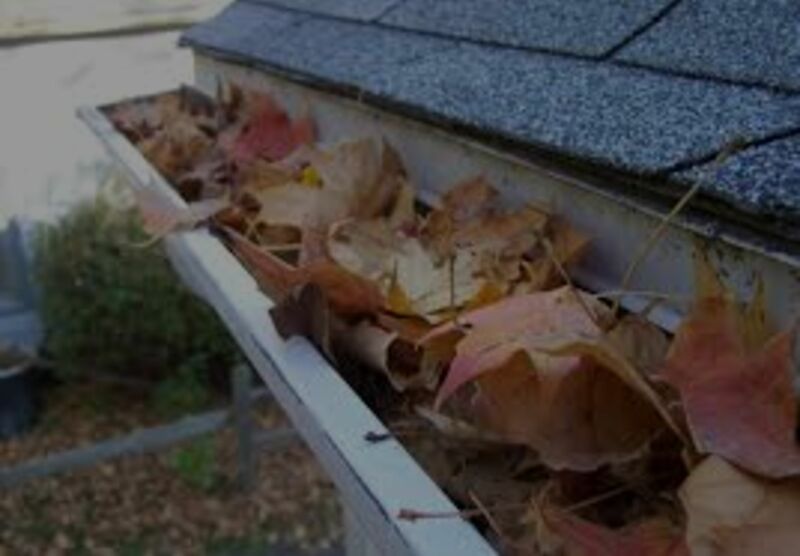 Clogged gutters can cause ice dams. 3.Drain garden hoses and store them inside. Water left in hoses can freeze and crack the hose. 4.Fill bird feeders. Prepare a schedule for keeping feeders full throughout the winters months. 5.Clean off all porch and deck furniture, then cover and/or store in a protected location. 6.Empty out soil from planters and clay garden pots. Leftover soil will freeze and potentially crack the pots. 7.Organize your garage or storage shed. Clean and store all summer garden tools. 8.Drain fuel from all summer equipment including leaf blowers, lawn mowers, and chain saws. 9.Organize shovels, roof rakes and snow blowers.